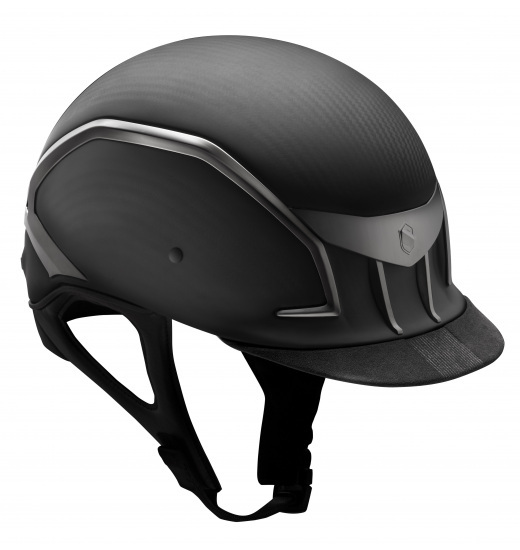 Riding helmet Samshield XC-J is a version dedicated for the most demanding jumping riders. The XC and XC-J series consist of helmets of increased safety level. The XC-J model differs from the XC version with its elastic peak covered with leather. Shell of the helmet is made of very durable and light carbon fibre. The shell inside is made of polystyrene, which excellently distributes the energy produced during impact. It has applied the system of interchangeable liners attached on studs and velcro. The liners are made of special shape memory sponge that perfectly forms to the rider's head shape. They can be detached and washed in 30 degrees Celsius. Heat excess is carried to the outside of the shell by an efficient and discreet ventilatory system. 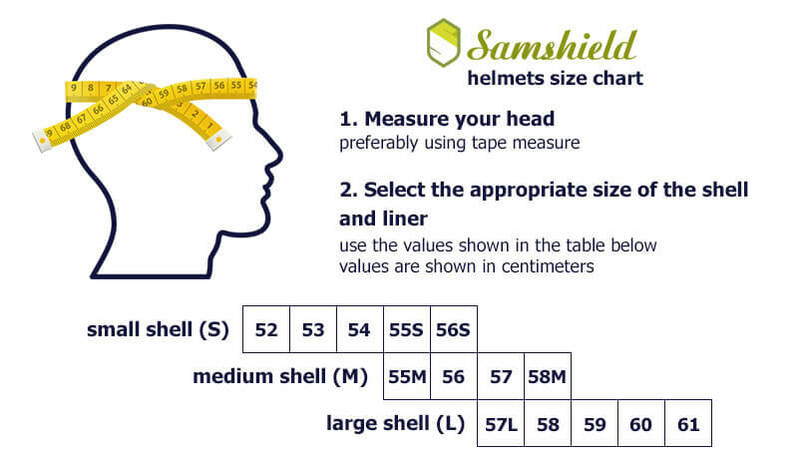 The helmet is available is two sizes of the shell (M and L), with fitting 6 sizes of liners (from 53 cm to 61 cm).